Home Trip Know Before you Go! 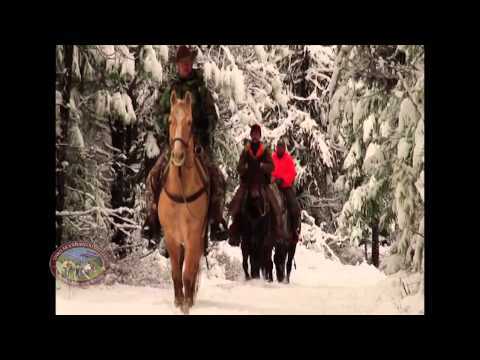 At Swan Mountain Outfitters we are committed to providing a quality guided mountain horseback hunt experience. We want our hunters to fully understand the nature and difficulty of our hunts. Call us old fashioned, but we believe in an honest and upfront approach, no surprises. We are looking for hunters that seek an authentic Western hunt experience and all that it entails. So here’s what you need to know before you go! 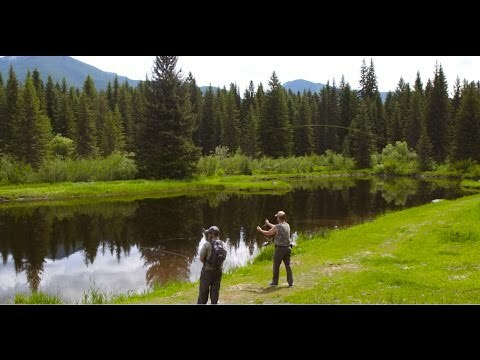 We are located in the mountains of NW Montana. Weather in this neck of the woods can change quickly and can greatly impact the success or lack thereof on any hunt. Weather conditions are unpredictable and out of our control. The temperature can vary from -20 to 70 degrees. We get a lot of questions on temperature and it is important you prepare for the extremes. It’s simply the nature of the beast, and we will not issue any refunds due to inclement weather. In Montana there are essentially two types of hunt formats, private land and public land. Private land hunts allow outfitters exclusive access to animals, and the end result is a higher level of assurance of both seeing and harvesting game. 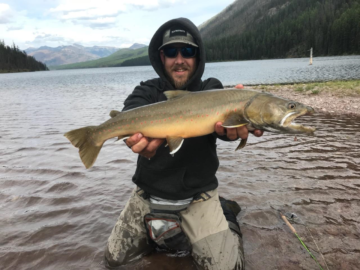 Our hunts are free chase hunts conducted on public land in the Flathead National Forest as well as in and around the Bob Marshall Wilderness Complex. The reality of a public land hunt is that they are harder and there is a chance you may not see an animal during your hunt.We do our best to overcome these obstacles by employing a team of knowledgeable and professional guides, using best in class equipment and stock and possessing a strong understanding of our permitted hunting territory.It seems that the most commonly asked question is, “What is your success rate?” There is widespread debate as to how outfitters calculate success; is it kill, opportunity, sightings, etc. All outfitters, including us, can cite statistics of past seasons; however, we have found it to be a poor predictor of a particular hunter’s odds for harvest success. If your measure of success is a harvest, the reality of any public land hunt is there are NO guarantees. Before you reserve your hunt, please carefully consider if going home without an animal would negatively impact your experience. Because of our public land environment we have zero control over the size of an animal. In fact, we consider all of them to be trophies. Although we have harvested admirable size animals in every species, if you are hunting for a trophy size we’re probably not the outfitter for you. We want to make sure our hunters are prepared mentally and physically for a free chase hunt in the mountains of Montana. Our hunting territory is the real deal, and is among the most rugged Montana terrain in the country. These are physically demanding hunts that involve both horseback riding and hiking. You do not need to be an expert rider, but you do need to be prepared to spend time in the saddle. On average hunters can expect to ride up to 5 hours in the saddle and walk 10 miles per day. However, in certain conditions it is not uncommon to ride 7-10 hours in a day. Especially if the hunters are going after mountain mule deer, and we lack the snow to push them down from the mountain tops. Building saddle stamina seems to be essential, especially if weather conditions or snow pack are less then optimal. We highly recommend hunters practice their still-hunting, hit the gym and build saddle stamina before the trip. Having the drive and the physical ability to go where the animals are is a huge piece in a successful hunt. Commensurate with accessing the areas we hunt, by necessity, we provide an authentic Western hunting experience on all of our fall hunts by utilizing traditional outfitter’s camps. Our archery elk hunts are conducted out of a spike camp in remote mountain locations with hunters sleeping in high alpine tents. Our early season wilderness hunts are hosted out of our “upper camp” with accommodations consisting of wall tents with wood stoves. During the general season, the opening week is a spike camp approach. The remainder of the general season we offer 5 day hunts out of our base camp in the Swan Valley with wall tents and wood stoves. Our spring bear hunts are the only hunts hosted in our family-style lodge. Life in an outfitting camp lacks all the amenities of hotels and lodges including TV, cell phone access, WI-FI and indoor comforts. Our clients tend to view this as part of the authentic experience! *Elk and Deer hunters have the opportunity to purchase preference points for an additional $50 to increase their chance of drawing. Gratuity: $50 a day per person to the guide plus a little more if you get an animal or 10-15% of the hunt cost to the guide; $15-20 a dayper person for the cook who also acts as a camp valet; $25 per person for each wrangler that hauls your gear and/or meat. A Hunter Defense Fund: A fee of $50 per hunter is collected from all outfitted clients of Outfitter members of the Montana Outfitter & Guides Association for the purposes of defending nonresident hunting rights in the state of Montana. Taxidermy: We can recommend a local taxidermist who in turn ships it to you upon completion. His prices are competitive with those throughout the country. Shipping the meat, cape and antlers: If you harvest and do not want the meat you can donate it to us for no cost. Otherwise the butcher can arrange to have the meat shipped to you. The price will vary depending upon weight and where you need it shipped. An average range is between $100-$300. We provide a detailed equipment list, and it is extremely important hunters check to make sure they bring everything on the list to maximize their safety and comfort.